When January 2016 rolls around, you can look forward to state-of-the-art equipment, a yoga room, fitness classes, and a cool down lounge at the best apartments in Falls Church. Yep, we’re talking about the one and only West Broad Residences. Fortunately (or unfortunately, depending on how you look at it), you don’t have to wait until we open our West Fit Studio to start working out. Here are some of the best exercise classes in Falls Church, the best little city in Virginia. These fitness classes are all about variety. 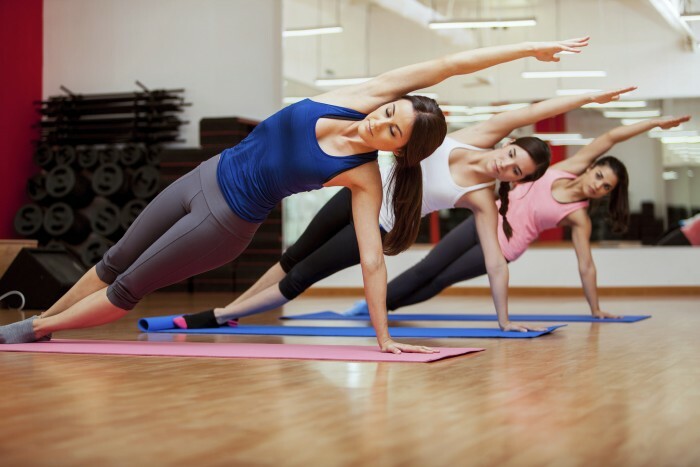 If you want to do yoga one night and high-intensity interval training the next, join one of the following gyms for a plethora of fitness options – and say goodbye to the same old, same old. If you’re constantly under pressure at work and aren’t in the mood for a stressful (read: bootcamp) workout, Falls Church has something for you. The options below are zen-producing factories and you’ll walk away feeling refreshed, stretched, and ready to tackle every day of the week. You’re around people all day, and sometimes all you want to do is escape from the group. These spots offer solo training sessions or personal training so you can focus on you and your workout – not on keeping up with the person on your right. Remember your high school basketball team? Either you’re feeling warm and fuzzy or breaking out in a cold sweat right now – if it’s the former, you should consider joining an adult league. The latter? See the above paragraph. Here are some of the best team sports near Falls Church. NOTE: some of these may require travel over 10 miles, and locations are subject to change. Whatever workout you choose, your body and mind will thank you for being more active. Don’t forget to join our mailing list so you can stay updated on what’s happening at West Broad Residences. Opening day at the best luxury apartments in Falls Church, VA isn’t far away!